You don’t have to live with headaches! When it comes to relieving headaches, many approach their condition by simply numbing the pain. Though this may bring temporary relief and help you get through your day, neglecting to address the source of your headaches and treat any underlying causes properly may lead to further deterioration and even bigger problems in the future. Dr. Harte will address the root cause of your headaches while also offering quick relief for your pain. 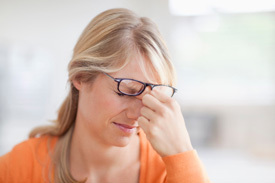 Are you ready to get rid of chronic headache pain for good? Call (415) 460-6527 or book an appointment online today! Contact us now to take the first step on your journey to wellness and say goodbye to headache pain.